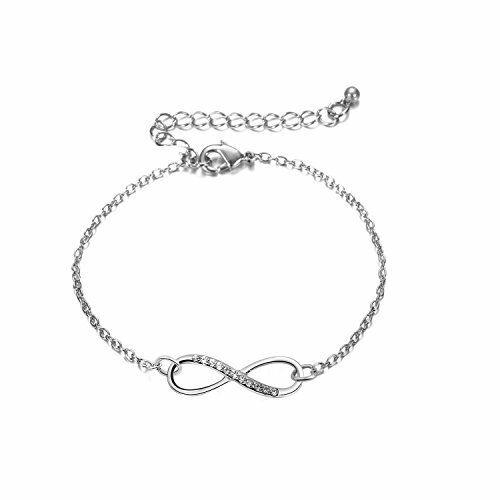 This exquisite Infinity Bracelet/Anklet are made of stainless steel. it is an extremely durable& hypoallergenic metal. A perfect gift for your lover, wife, girlfriend, beach girl, daughter, granddaughter or friends. Suitable for Valentine's Day, Christmas'Day, summer holiday, ball, party, anniversary, prom, graduation, birthday or any special occasions. If you have someone with whom you are deeply attached, you can give her the infinity bracelet. Your Infinity Bracelet/Anklet will arrive in a beautiful velvet pouch. Ready for gift giving.